It is a heartbreaker to have an effect pedal or active electronics battery die in the middle of a performance – we have all been there. But it is really expensive to change out all of your 9-volt batteries before a show, and sometimes it is a hassle to gain access to test them with a conventional battery tester. 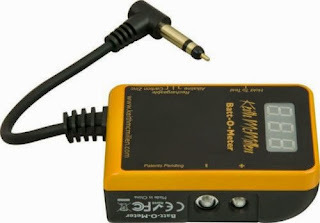 This is where Keith McMillen Instruments’ Batt-O-Meter comes to the rescue. 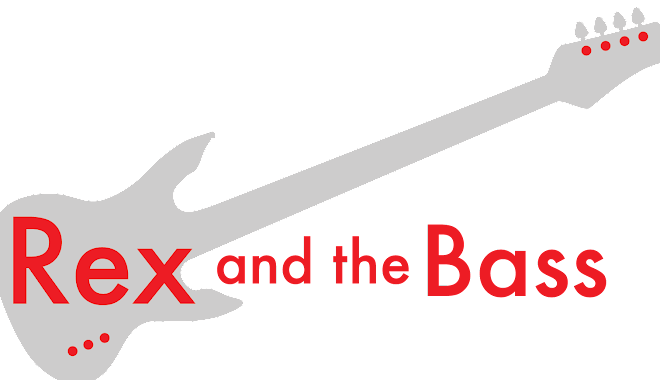 The concept behind the Batt-O-Meter is that you simply plug the permanently attached ¼-inch lead to an effect pedal input or an instrument output, and it will let you know if the battery is any good. You do not have to find a screwdriver or pull the pedal apart to get to the battery. This is a pretty cool concept! But there is more to it than that, this is a pretty neat piece of equipment that is a bit smaller than a normal-sized stomp box, so it will easily fit in a guitar case or gig bag pocket. On the left ide is the test switch and another switch that allows you to select rechargeable, alkaline or carbon Zinc batteries. On the other side are external terminals, and on the bottom is the integrated lead with a gold-plated ¼-inch male jack. Just plug it in an hold the test switch, and on its LED display, it is able to show battery type, voltage, percentage of battery life, hours remaining of normal use, and low battery status. The Batt-O-Meter is powered by its own 9-volt battery (not included) with a self-test function. So, when you plug it into a pedal, effect pedal or active guitar, it measures the power being pulled from the battery, compares that load to the battery's remaining energy, and calculates the remaining hours of battery life. The Batt-O-Meter is designed for circuits powered by a single battery 9-volt battery or combinations of AA or AAA batteries that come in under 10.23-volts (the maximum reading). One caveat is that the tester will only work with negative ground circuits (most pedals), so if you have a positive ground pedal you are SOL. In my world, this thing worked really well. With my collection of pedals, I could not find any that would not work with it. My active basses are mostly 18-volt, but on my Jazz with EMGs it also delivered the goods. I did a few tests where I used the tester and then pulled the battery out and used a conventional voltmeter, and the Batt-O-Meter is very accurate. The only thing it did not work on was my Martin acoustic with factory-installed Fishman Isys preamp – it would not give any sort of reliable reading on it. On the plus side, this guitar has an easy-to open battery box, so it is not too big of a deal. Overall I give this product a solid A! 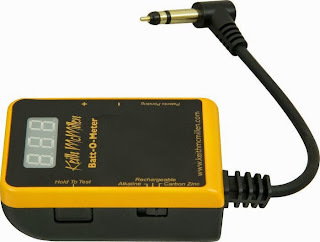 By the way, if you have a 9-volt, AA or AAA battery that is not installed, you can also use the terminals on the side of the Batt-O-Meter for testing. Easy as pie. 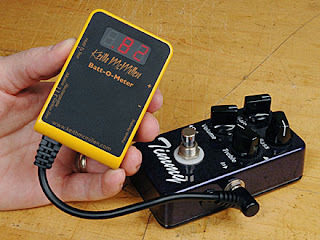 The Batt-O-Meter is a pretty neat piece of work, and it is going in my road case. If you work on guitars all the time you might want to think about getting one of these for the bench. It could save a lot of disassembly time when chasing down electrical problems. If you are interested in getting one they are not terribly expensive, with a list price of $34.95 and a street price of $20. Check one out for yourself!